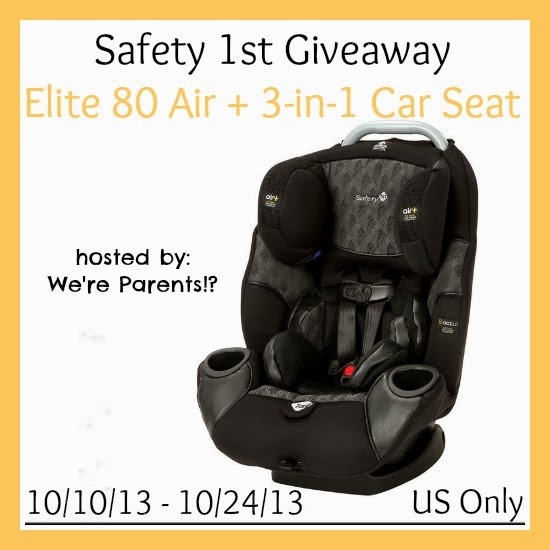 In this giveaway, you can win a brand new Safety 1st Car Seat! It's the Elite 80 Air car seat with 4-position recline. This is a great opportunity to win a carseat for your child and make sure their passenger experience is as safe as possible. Remember, it's important to check the expiration date on your current car seats, because they expire after a number of years. In fact, we just checked our infant seat and it expires in January. We'll need a new car seat by the time we have our next newborn! Make sure your car seat is not expired and enter to win a brand new Safety 1st carseat! Safety 1st is driven by the focus to make the world a safer and happier place for children to grow up - no matter if that's in their car seat, snuggled up in their bassinet, or being entertained in a bouncer. Safety 1st has an unwavering commitment to child safety, innovation, quality, and value. The Elite 80 Air + 3-in-1 Car Seat keeps children safe from 5-100 pounds. Your child can use this carseat for many years! The innovative Air Protect+ combines Air Protect cushion with patented GCell-HX foam for superior protection, providing full-body side-impact protection. Your child can rear-face until they reach 40 pounds, and then the child can forward-face with the harness until 80 pounds. Beyond 80 pounds, the Safety First Elite 80 Air+ can then be used as a belt-positing booster up to 100 pounds. The car seat has a steel-reinforced metal frame, 4 position recline, and color-coded belt baths for easy and correct installation. Enter to win this Safety 1st Car Seat using the Giveaway Tools form below. Good Luck! Giveaway is open to those 18+ in the US Only! Giveaway ends 10/24/13. Disclaimer: Why We Love Green received no compensation for this giveaway. 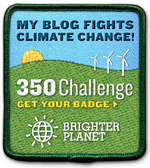 Participating bloggers, including Why We Love Green are not responsible for winner selection or prize fulfillment.